Delacorte Books for Young Readers, 9780399555107, 368pp. The perfect summer vacation read for tweens! 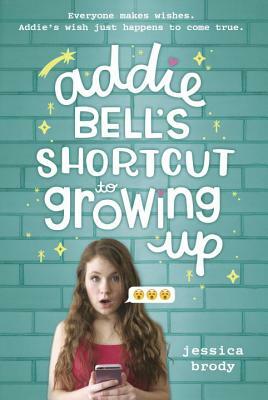 A middle-school girl finds out that being a teenager isn’t all it’s cracked up to be in this realistic read about friendship with plenty of LOL moments—and a magical twist! Jessica Brody is the author of many books for teens and tweens, including The Karma Club, 52 Reasons to Hate My Father, and the Unremembered trilogy. She also writes books for the Descendants: School of Secrets series, based on the hit Disney Channel original movie, Descendants. Her next book for tweens, Better You Than Me, will hit shelves November 13, 2018. She splits her time between California and Colorado, living with her husband and three dogs. When she was twelve, she was convinced her life would be perfect if she were sixteen. Visit Jessica at JessicaBrody.com and on Instagram and Twitter at @JessicaBrody.